This isn’t my ‘usual’ at all, but as a Canadian and knowing there are Canadian who read my blog: you need to know this. Americans, etc. may find it interesting aswell. We’re a quiet bunch; prone to enjoying hockey, drinking stronger beer than our friends south of the border, and lovers of fries smothered in cheese curds and gravy. We also, apparently, have an inferiority complex when it comes to being evil dirt bags, because we’ve decided to pass our very own version of SOPA up here. We like our politics dry up here. But, as innocuous as it sounds, C-11 does a whole lot that SOPA did with a few extra twists you might not find in the Wikipedia write-up. Like your PVR? 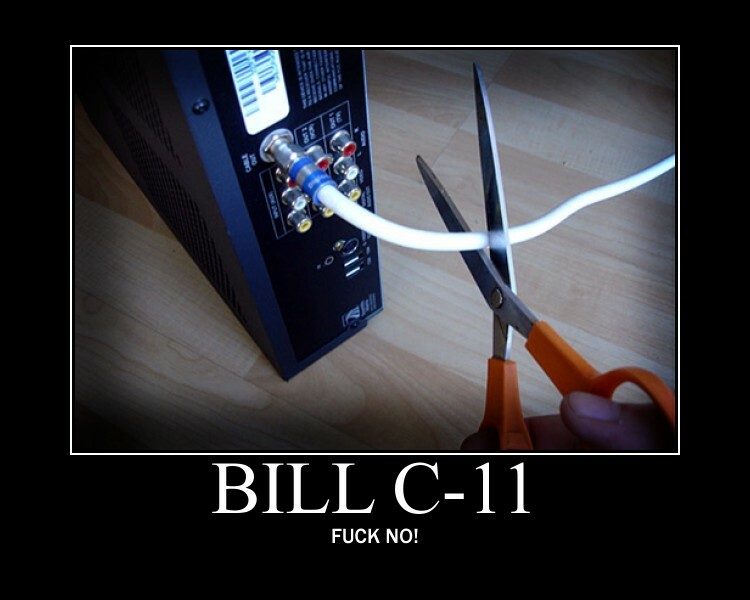 You can’t keep it under C-11. Like ripping CDs to your iPod? Say bye-bye.